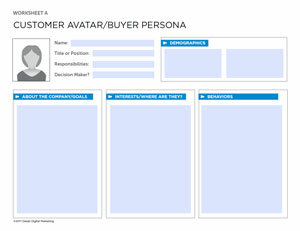 You gotta have a [marketing] plan! 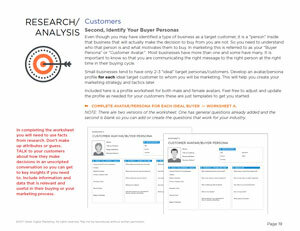 Creating a marketing plan does not have to be complicated. Many businesses spend a great effort and time on marketing strategy but often many don’t get the results they wanted because they don’t complete a tactical plan or create realistic metrics. 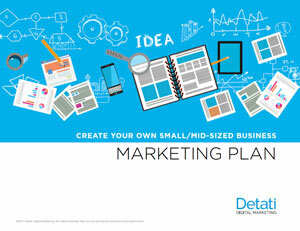 This FREE interactive workbook will help you get started with a working marketing plan for your small business. 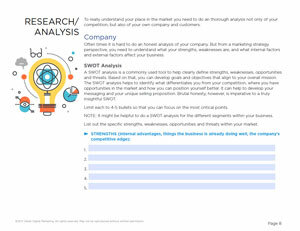 It provides a process for doing research and developing a strategy. Then you can create a tactical plan — so you actually have a direction with action items. Part 1 is 18-pages with bonus tips and worksheets. This is the process we use when working with our clients, so we know it works. 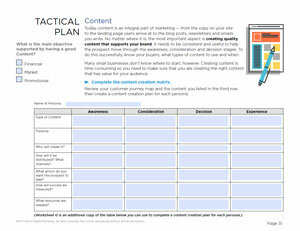 The Tactical Plan is 16 pages that helps you to create an actionable plan you can implement. The link for this is at the end of Part 1. We want to make sure you complete Part 1 before going “tactical” or you will not get the results you want. Yes! Please send me Part 1 of the Small Business Marketing Plan workbook.